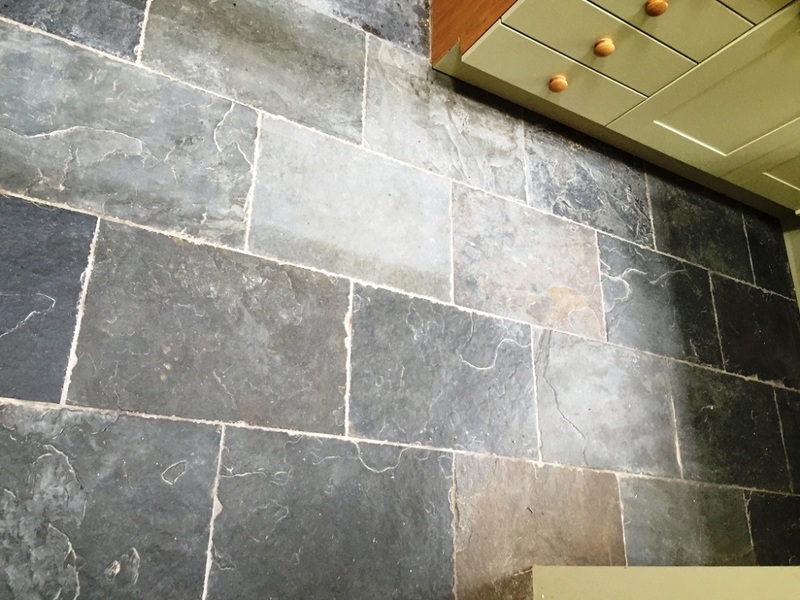 This small rough Chinese Slate floor in the kitchen of a house in the village of Cheadle near Stockport in Greater Manchester had not had any sealer put on it for many years and was very grubby (dishevelled as described by the customer) looking even after the customer had tried to clean it. 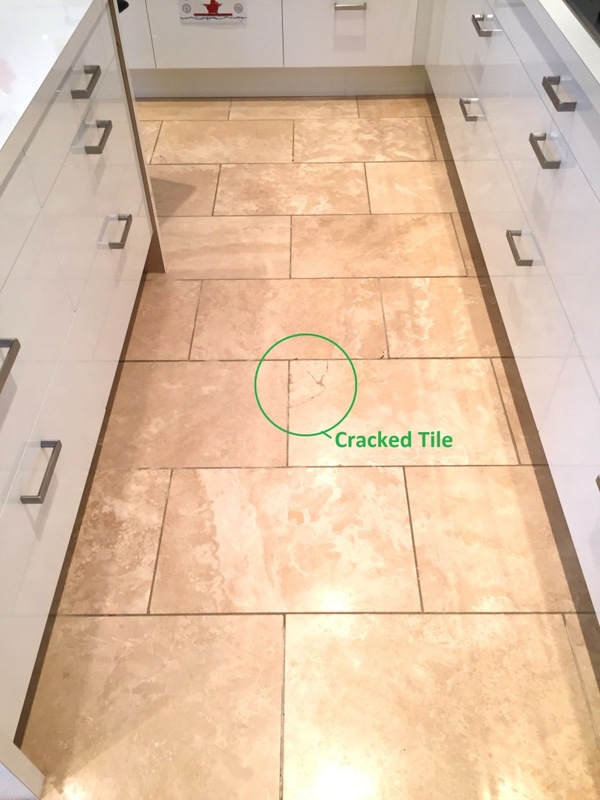 Sealers do take a lot of punishment, especially in a high traffic area such as a small kitchen and will wear off over time and once this happens the floor will start to lose its appearance as dirt becomes ingrained in the stone and it can no longer be cleaned effectively. 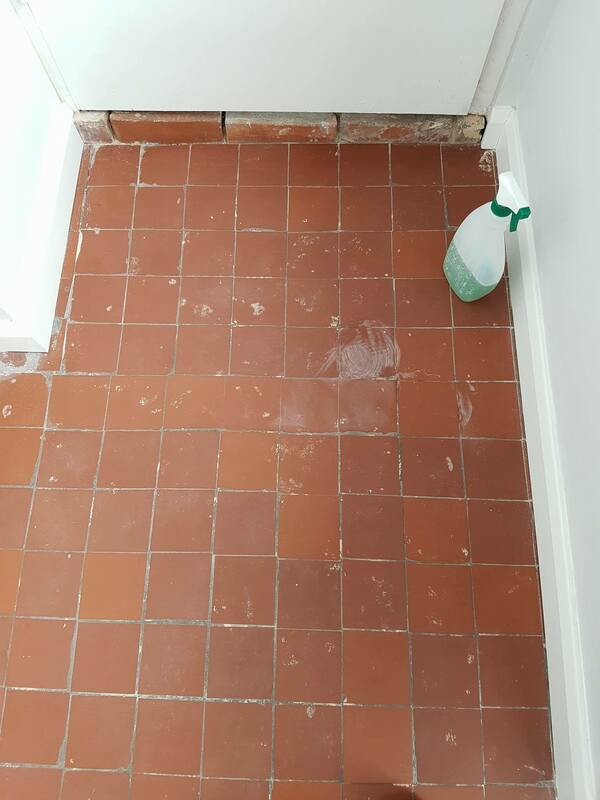 As we have to apply a liberal amount of water with this sort of work, the first step was to remove the Kicker boards at the bottom of the Kitchen units and silicone the Kitchen units that were fixed; this stops water seeping in and blowing the MDF allowing us to concentrate on cleaning the Slate without causing any damage. 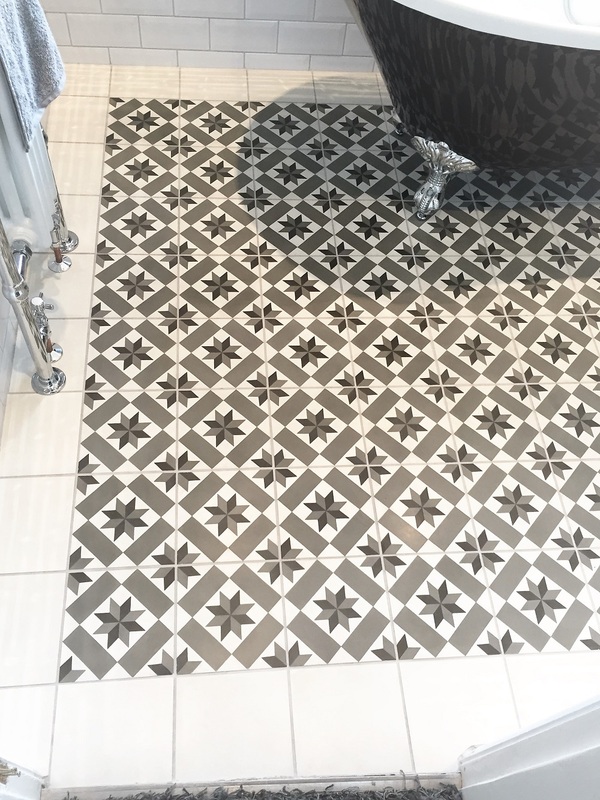 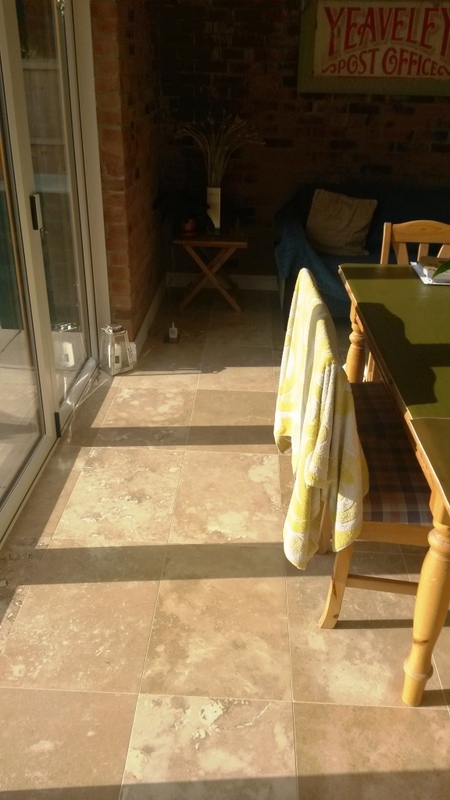 I started the cleaning process by applying a strong dilution of Tile Doctor Pro-Clean to get rid of the built up dirt and any remaining sealer, leaving it to soak into the Slate before scrubbing the floor with a black scrub pad fitted to buffing machine running at slow speed. 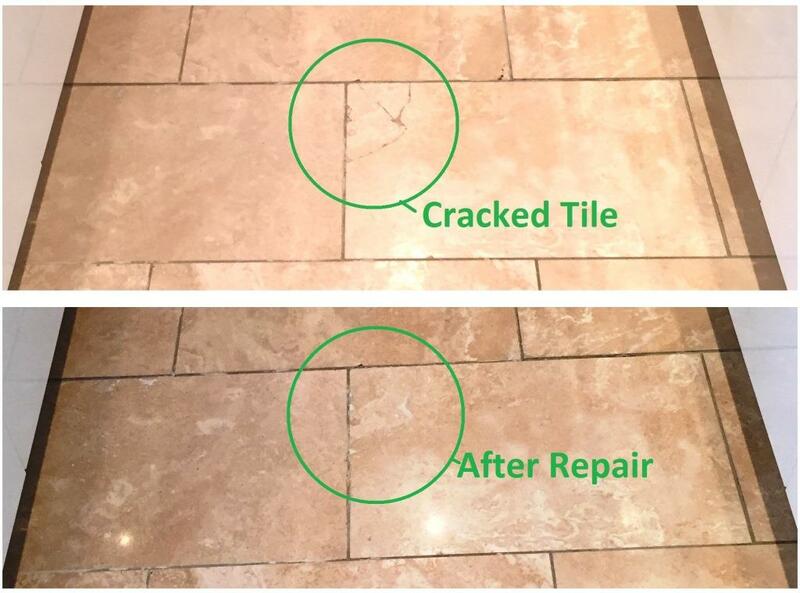 Tile Doctor Pro-Clean is a strong alkaline cleaner/stripper that is safe to use on natural stone, we do have stronger products available if required but in this case a strong dilution of Pro-Clean was sufficient to tackle any remaining sealer. 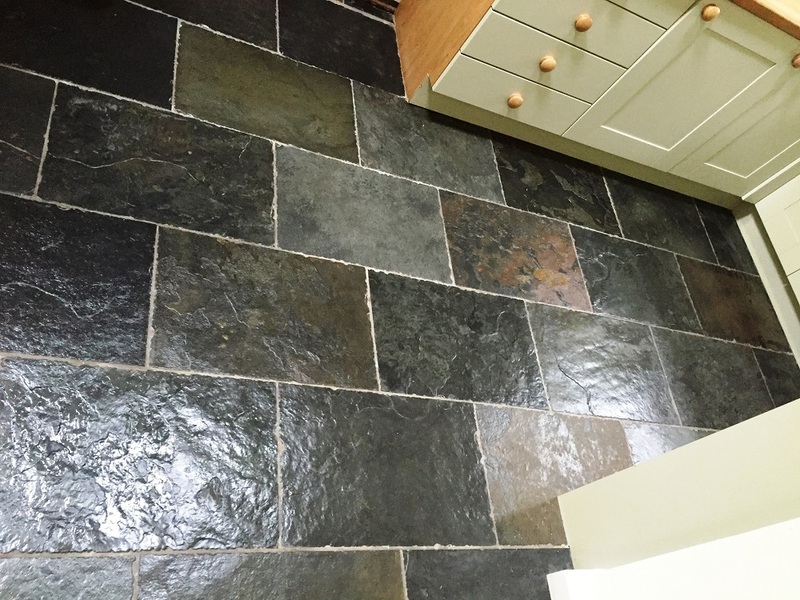 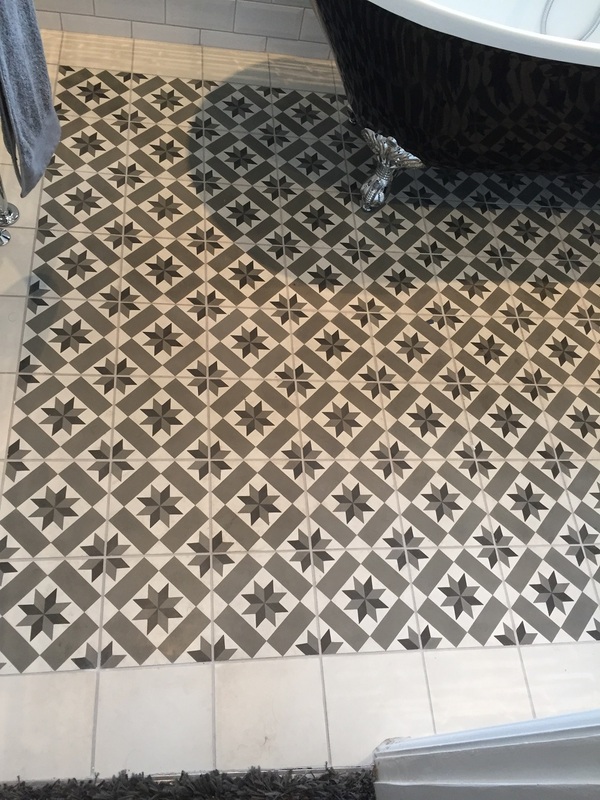 This process gave the Slate and grout lines a good deep clean and after rinsing the floor with water which was then extracted using a wet vacuum I repeated the process on stubborn areas until satisfied the floor was as clean and free of old sealer. 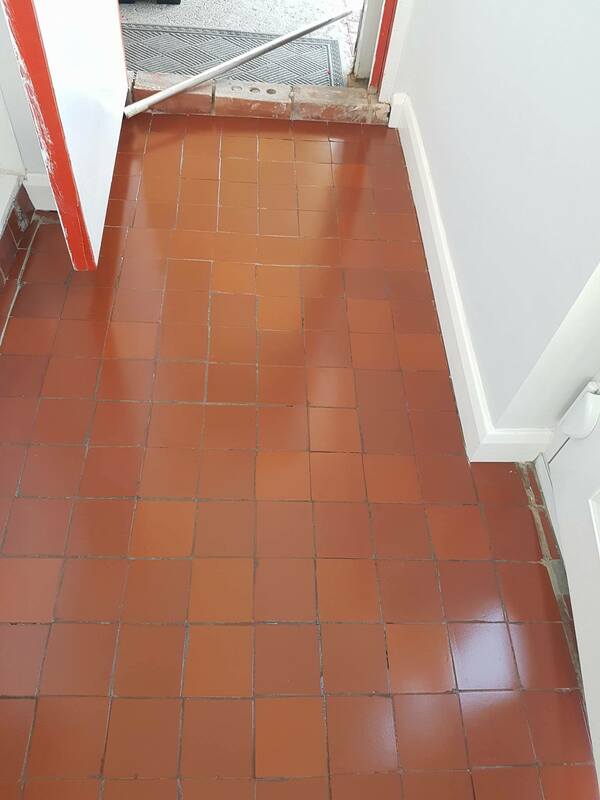 Last stage of the cleaning process was to give the floor a final rinse and then get it as dry as possible using the wet vacuum to soak up the moisture. 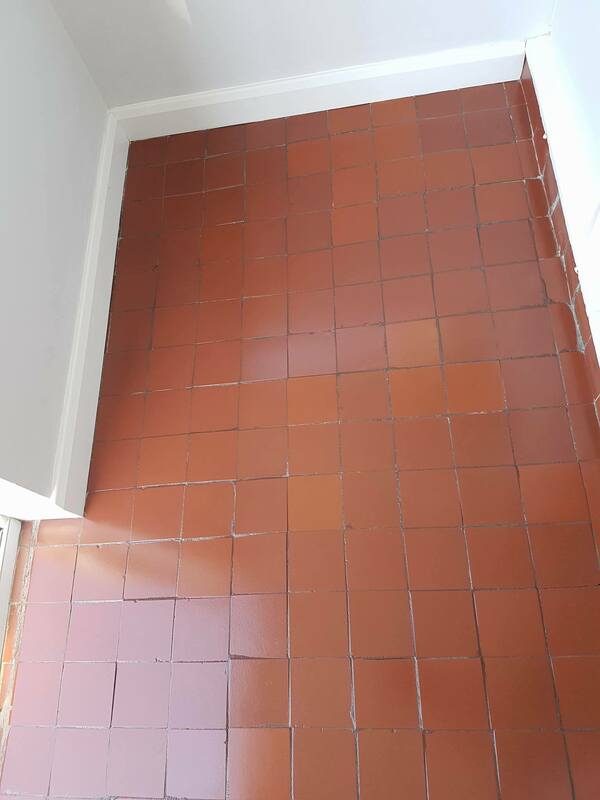 The floor was quite small so I was able to leave the floor to dry off over lunch time and then on my return managed to get it fully dry with a little heat from a heat gun. 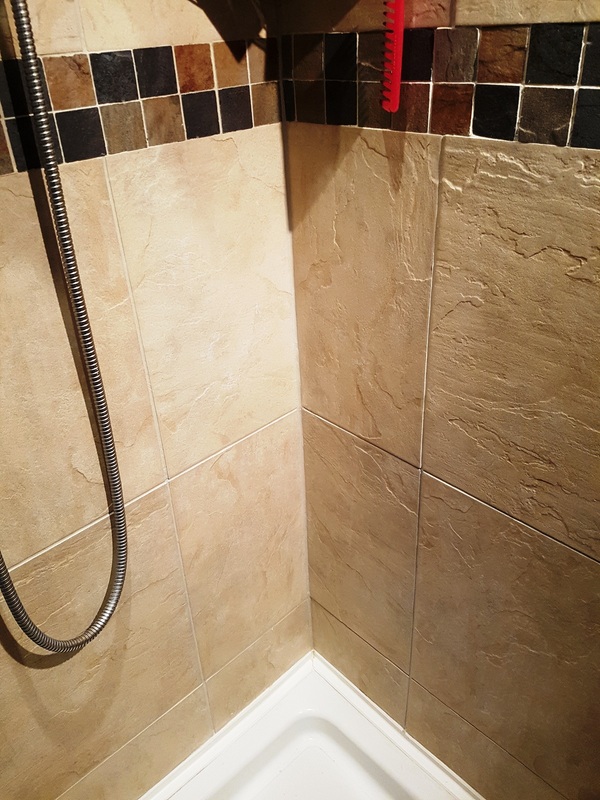 The customer wanted a mat finish so once dry I applied Tile Doctor Colour Grow sealer which impregnates into the pores of the natural stone protecting it from within and enhancing the natural colours of the Slate at the same time. 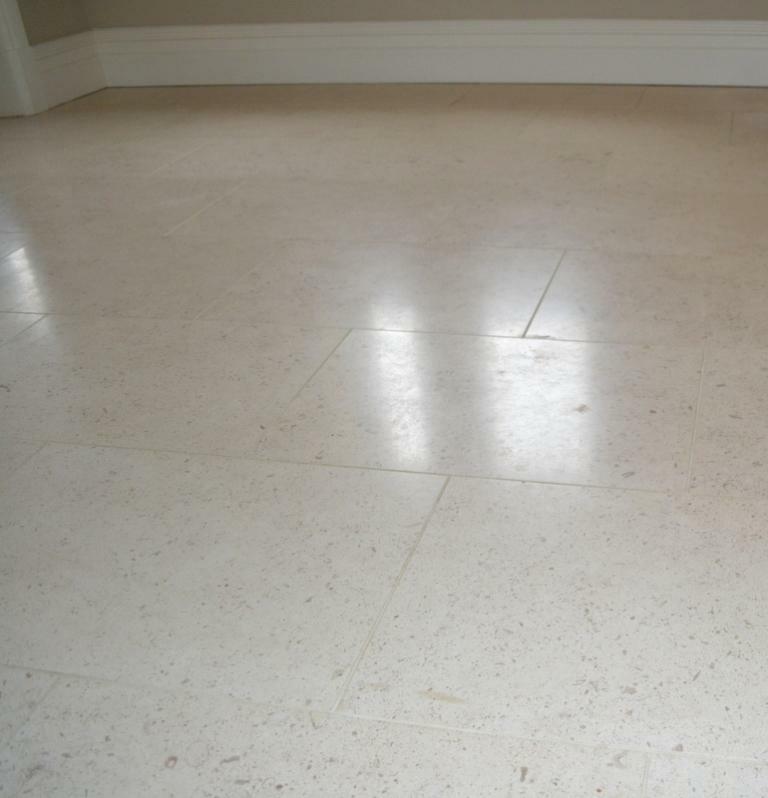 For general cleaning of Sealed stone floors, we recommend the use of a PH Neutral Cleaner as anything with a strong PH will degrade the life of the sealer over time. 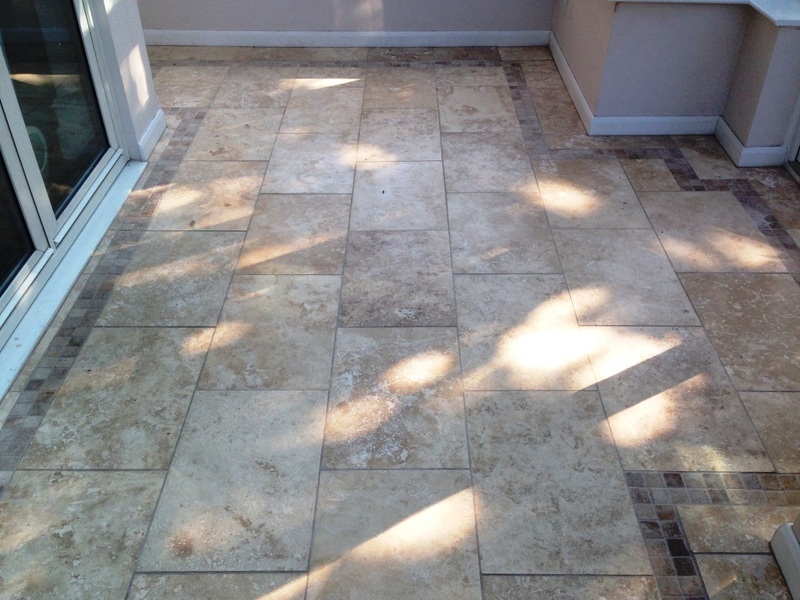 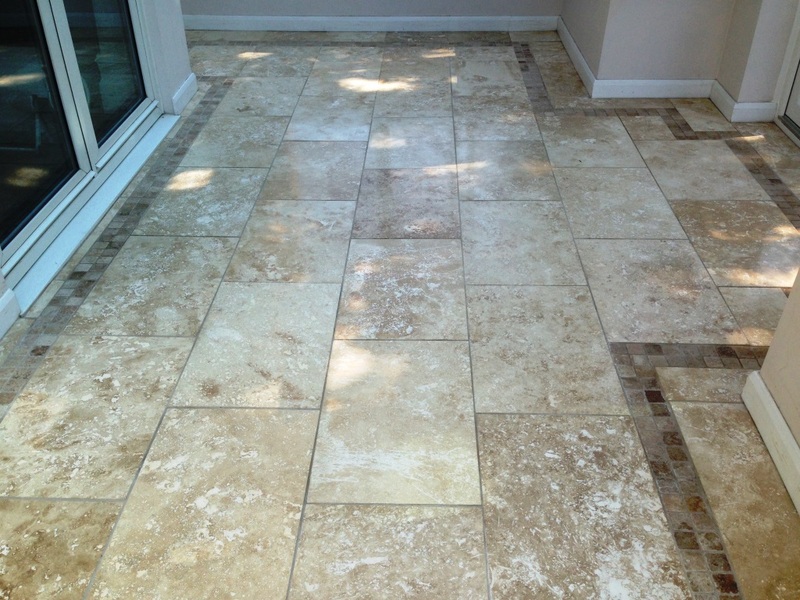 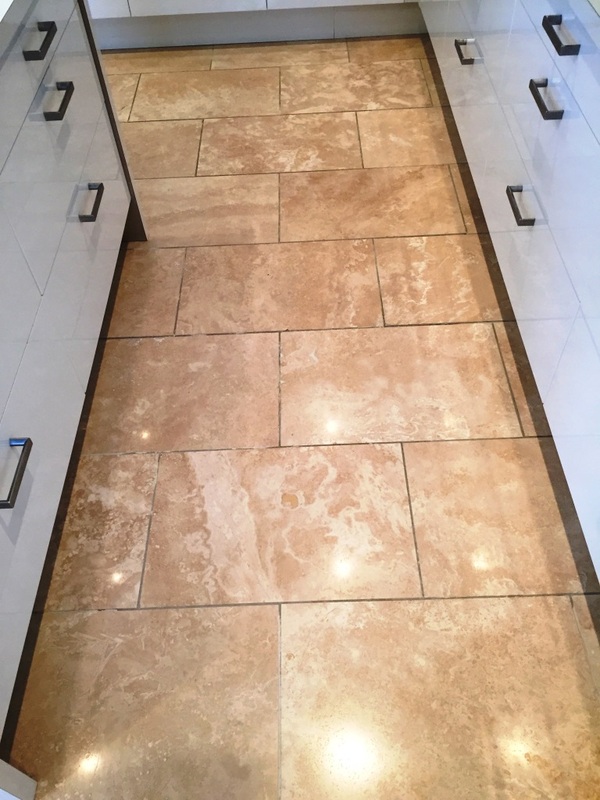 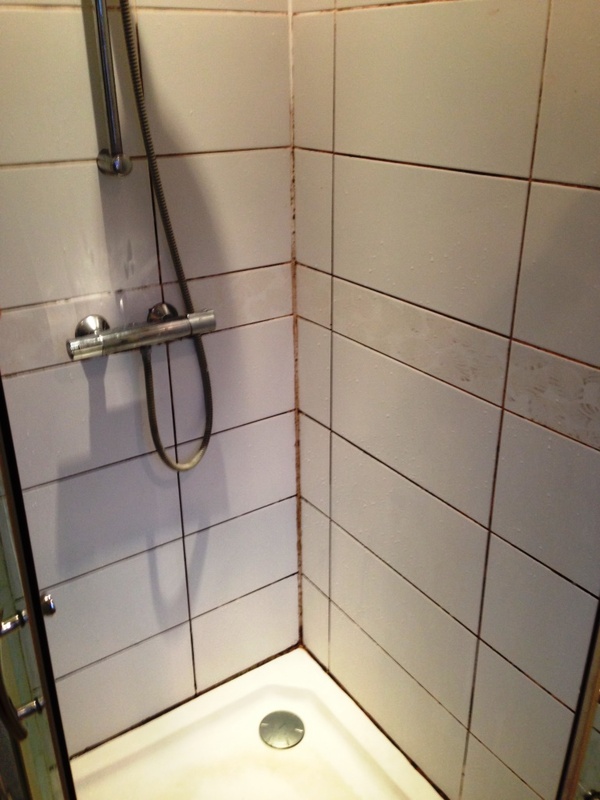 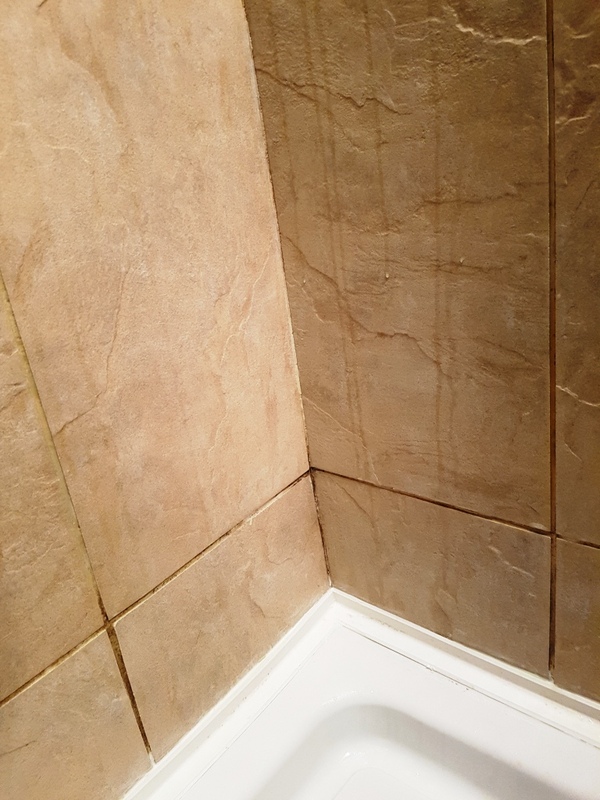 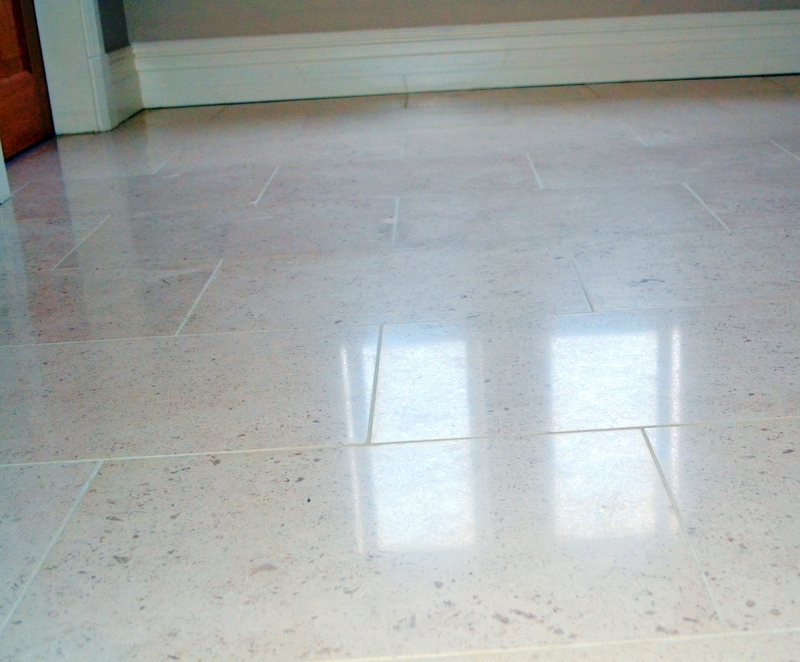 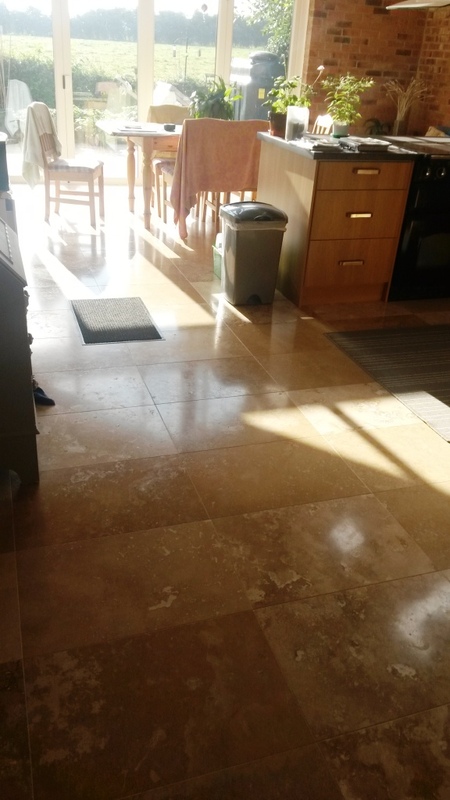 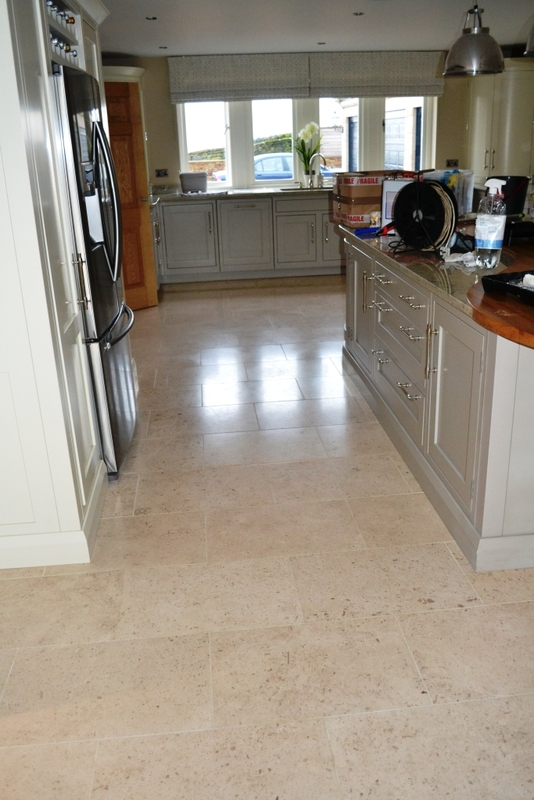 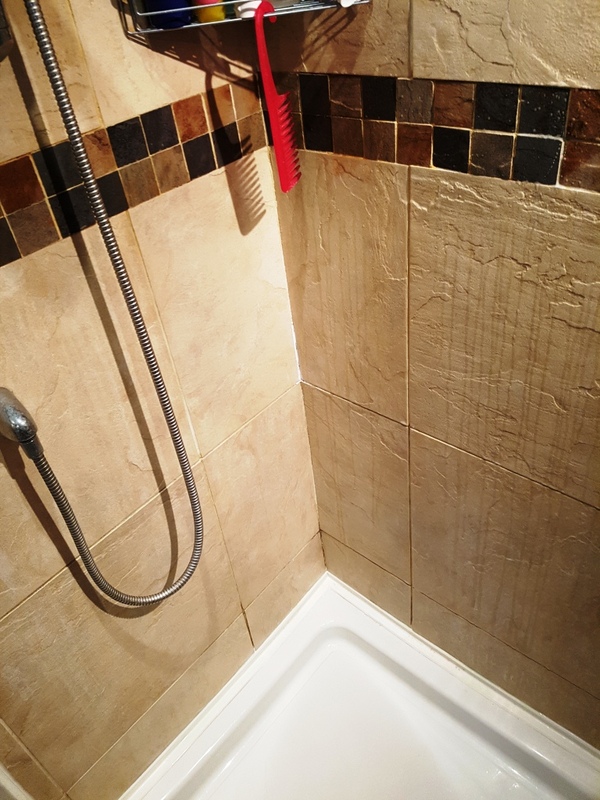 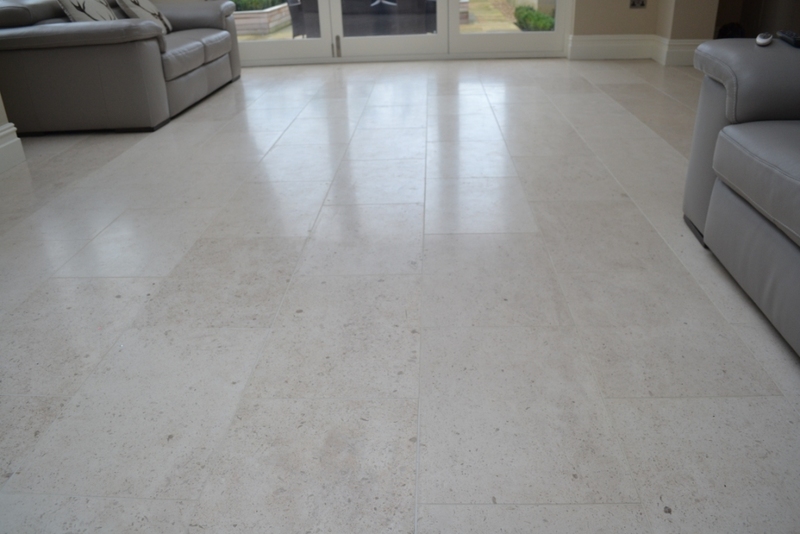 Incredibly this Travertine tiled floor had been laid just two weeks prior and unfortunately the tiler had not cleaned the floor prior to sealing thus trapping in dirt and dust that were present on the floor and now the tiles looked dull and dirty. 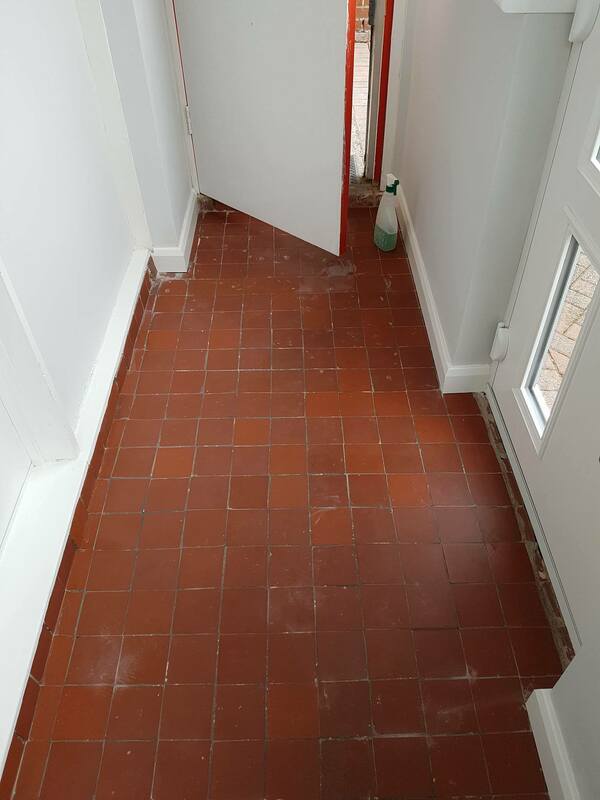 Sealing floors can be a minefield and it’s possible the dirt was not that obvious and by sealing the floor it magnified the issue literally; whatever the reason the only solution would be to strip the floor of its sealer, clean the floor and then reseal. 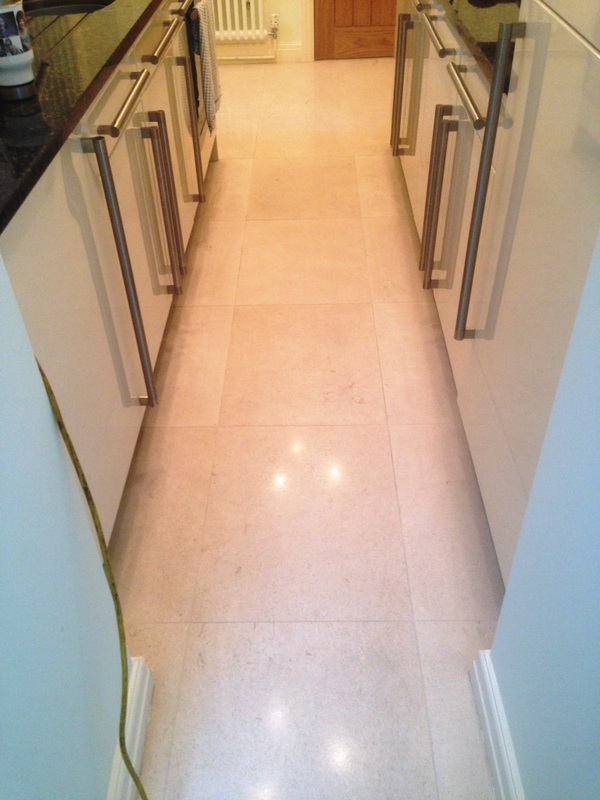 To strip the floor of the sealer and clean it requires the application of a set of diamond encrusted burnishing pads which are fitted to a rotary machine in a set sequence and run over the floor lubricated with a little water. 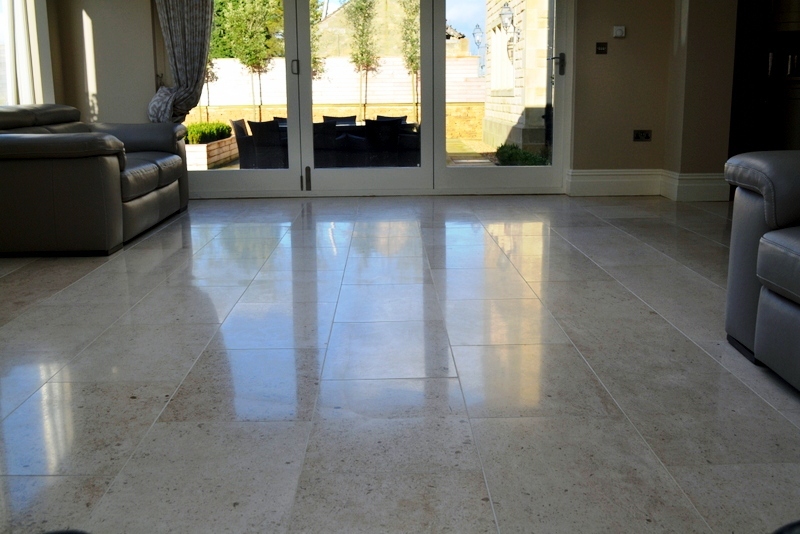 There are four pads in the set, you start with a coarse pad which will remove ingrained dirt and sealers before moving on to the medium, fine and very fine polishing pads which are a much finer grit and restore the polished finish of the stone. 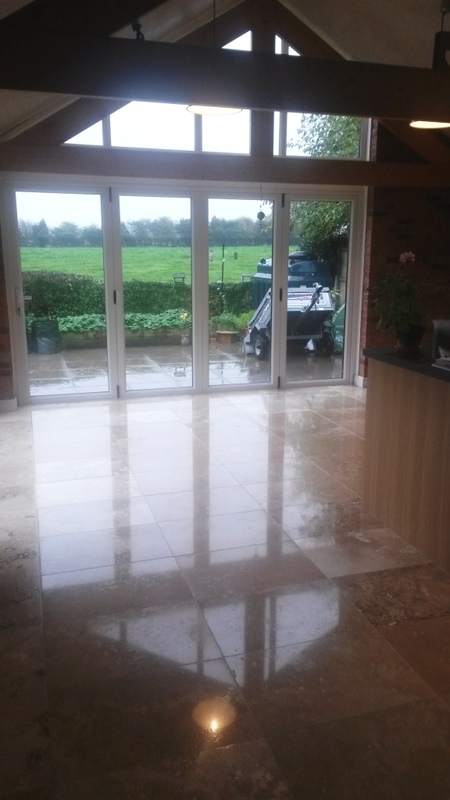 The floor needs to be rinsed down between each pad application to remove the soil that is produced and then given a final wash at the end to make sure the floor is clean before sealing. 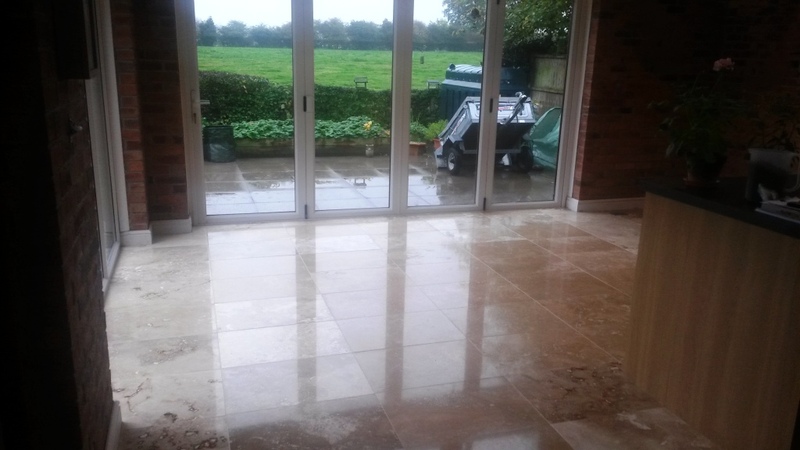 The floor must be dry before sealing so it was left to dry overnight and I came back the next day to seal it using two coats of Tile Doctor Colour Grow which is an impregnating sealer that occupies the pores in the stone so dirt cannot become ingrained there and in the process it also enhances the natural colours in the stone. 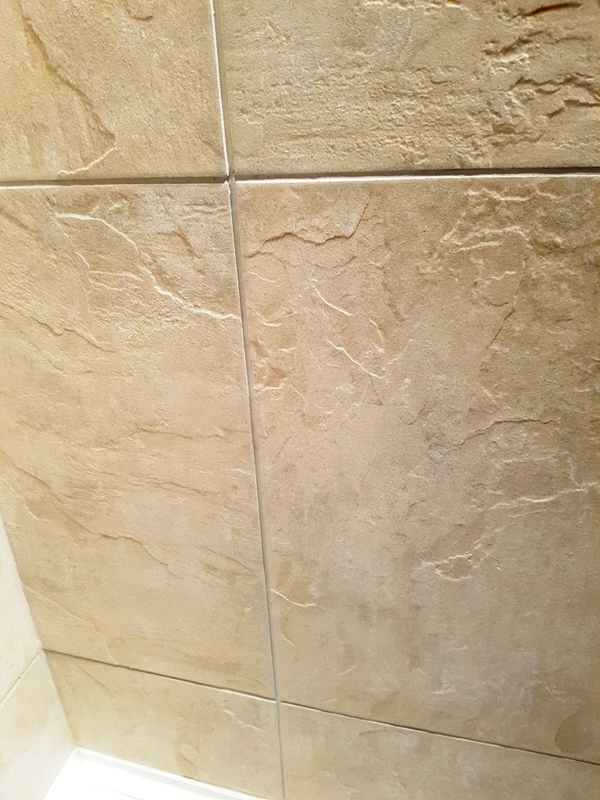 Once the sealer was dry it was buffed using a white buffing pad to make sure that I hadn’t left any residues from the seal. 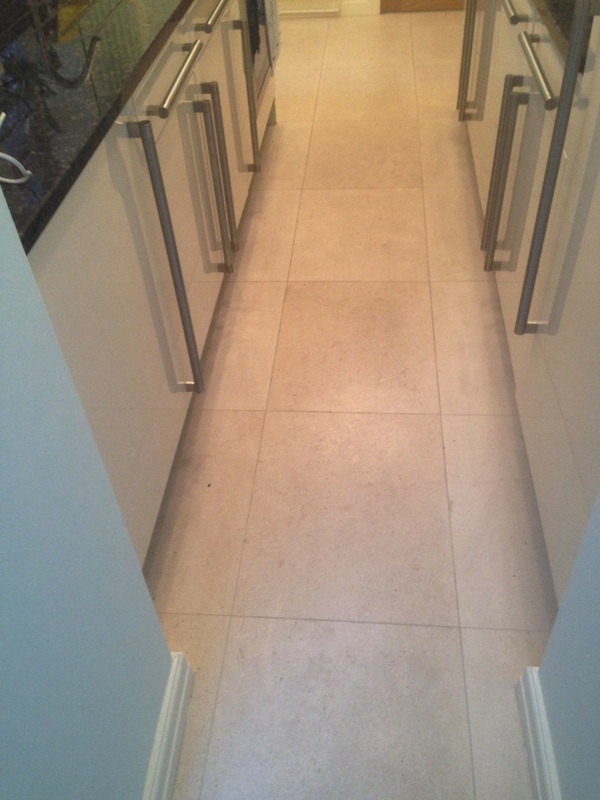 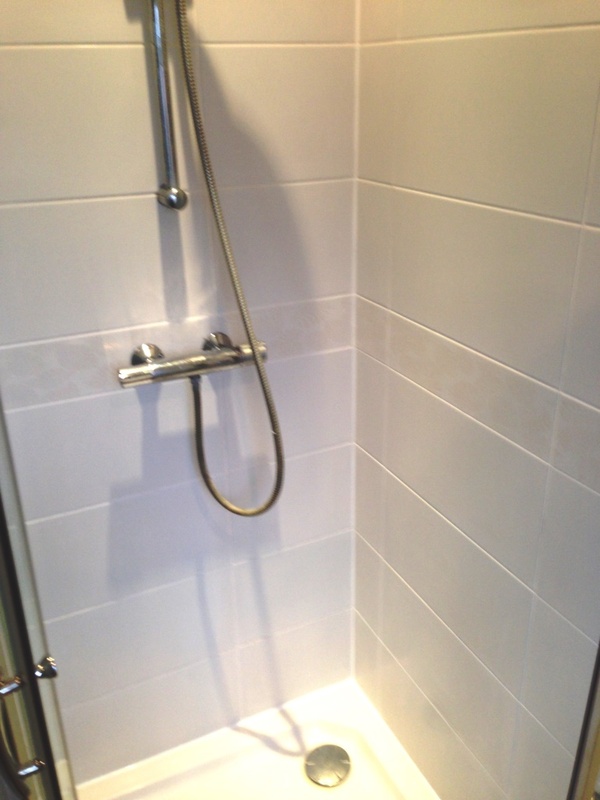 The customer was very happy with work and they now have the floor that they wanted.